I saw the challenge to make a card with leaves/trees on CAS on Sunday and wanted to use my Hero Arts Layering Fall Trees. Only I really didn't want to think about fall yet so I decided to try my hand at making a cherry tree in blossom. I started by looking at a picture of real cherry blossoms to figure out what colors I wanted to use. I got a range of pink inks and started layering them on my tree. I wanted the trunk to fade a little more in the background and make the pink more in the front. I used my white gel pen to shade around the branches and cover up a tiny bit of the brown. Then I took copics in similar colors and added some more pink dots. 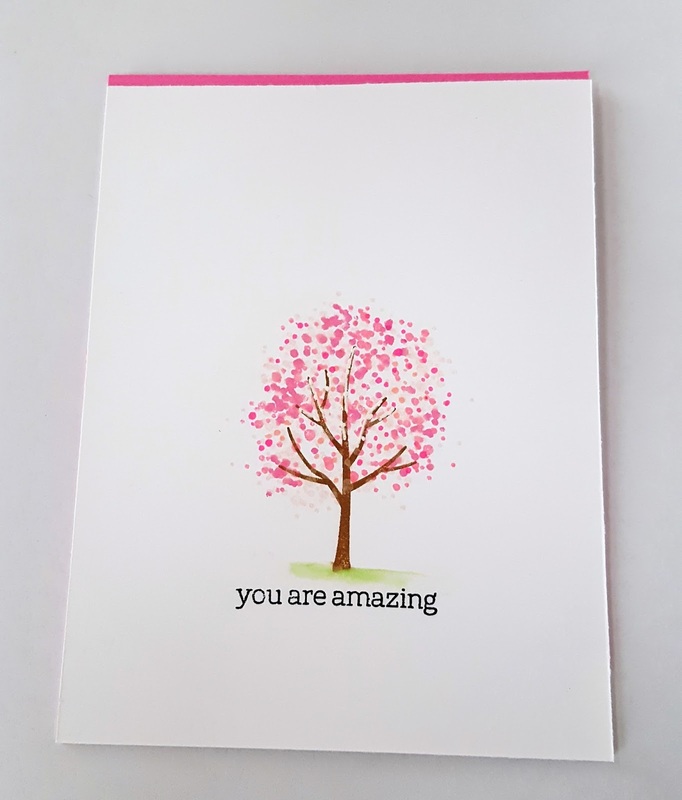 The sentiment is from the Thanks Stamp and Cut set. Once I had that done, I didn't like how my tree kind of floated so I used a Zig marker and some water to make a line of grass under the tree. I used some pink cardstock to just have a hint of color at the top and I was done. This is wonderful. 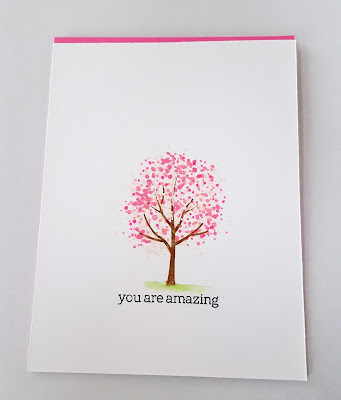 Great use of white space and I adore this stamp set. I must bust mine out and use it. Thanks for joining us at A Blog Named Hero. Great CAS card! Thanks for joining A Blog Named Hero. 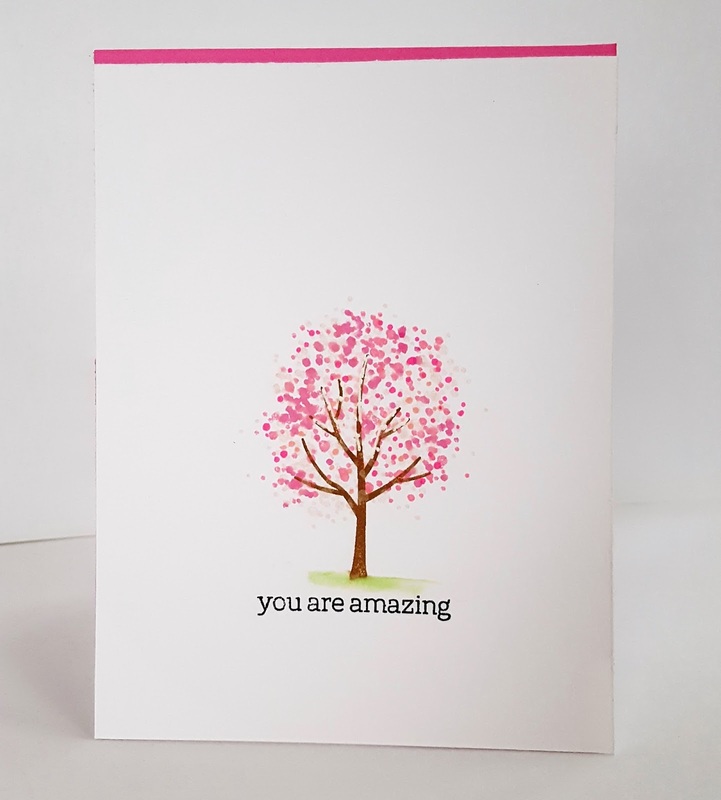 Such a great simple and elegant card... 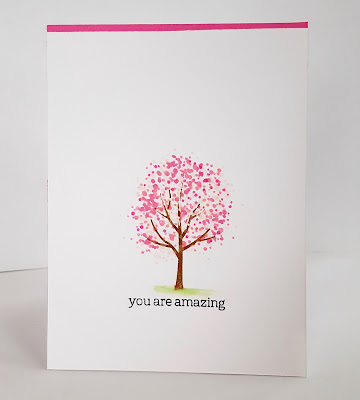 In love with the simplicity of this card..
thank you for joining us at A blog named hero this month..